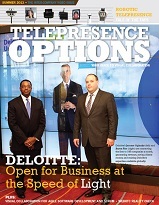 In this feature story for the 2013 Telepresence Options Magazine we discuss how video is enabling organizations to connect with customers, enhance their brand, and provide subject matter experts anywhere. This exclusive is available below for free, in its entirety. We are still at the early stages of B2C, where just making a basic connection between business and customer is an exciting development. 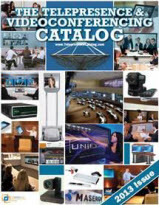 But as videoconferencing technology becomes more and more accessible and the barriers continue to dissolve, we will see more novel uses proliferate.